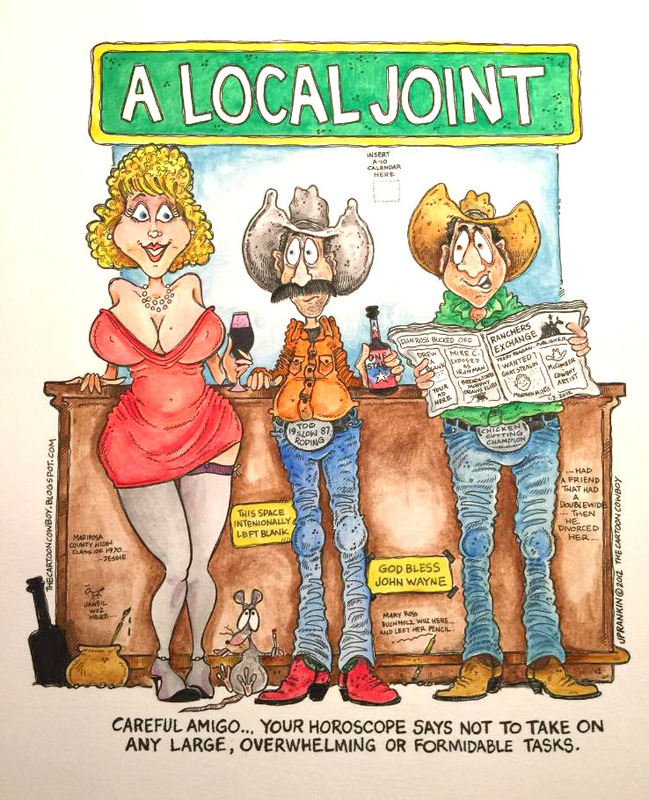 February | 2015 | JP Rankin "The CARTOON COWBOY"
That Awesome feeling of accomplishment when you finish something … so I guess it’s time for another LONE STAR BEER and then back to painting. Who needs a COLD LONE STAR … any will do! 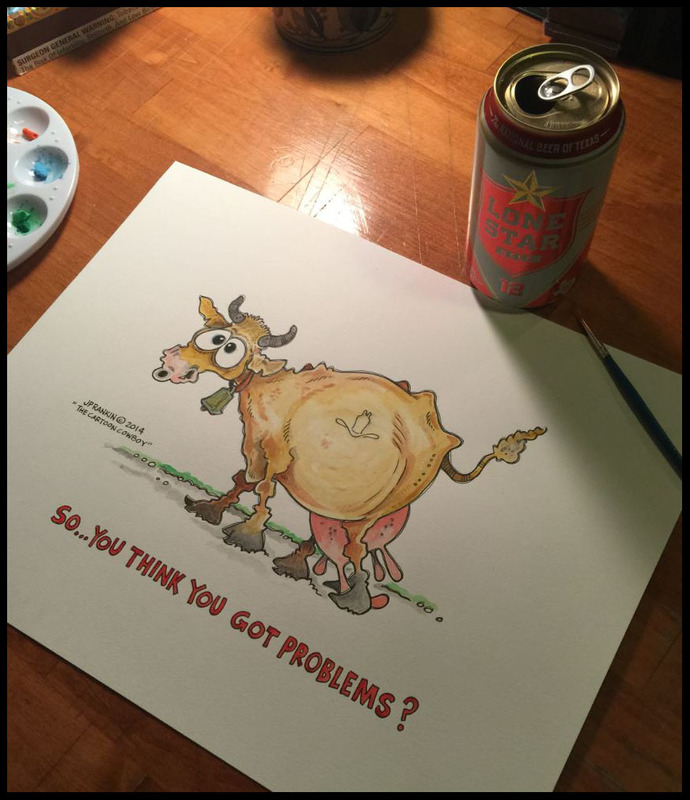 LONE STAR BEER and art have always kind of been a thing for me. 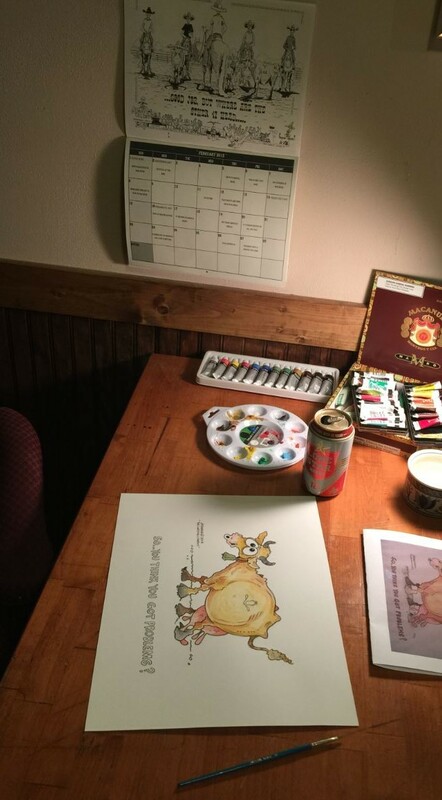 … and yes that is my 2015 A-10 Etcheverry calendar hanging on the wall. Never be afraid to take on new things …..